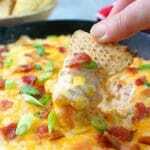 This Bacon Corn Dip recipe is the perfect party appetizer! 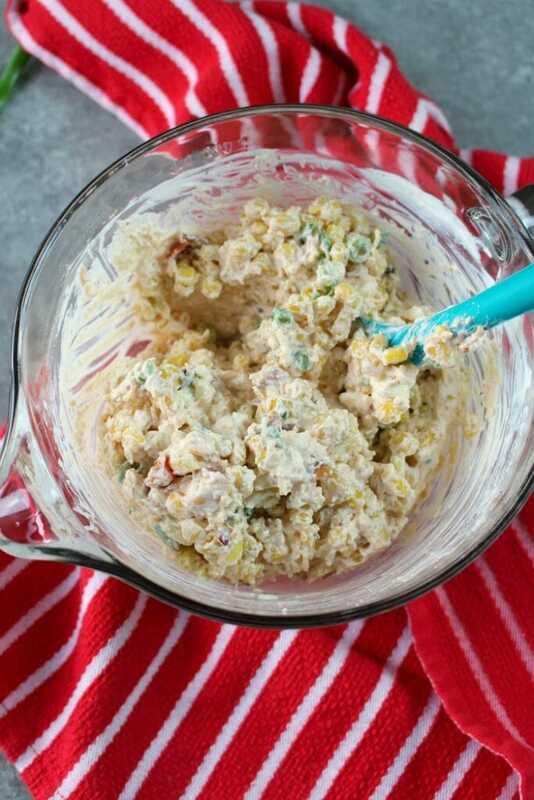 Loaded with crisp, savory bacon, sweet corn and lots of cheese, this hot & creamy Bacon Corn Dip recipe is sure to please! 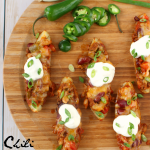 Serve fresh out of the oven with your favorite tortilla chips for a fantastic game-day snack or party appetizer. Do you and your family every forgo dinner, and just enjoy a spread of appetizers? It doesn’t happen often at our house, but anytime there’s a big football game or basketball tournament, this is something we love to do. 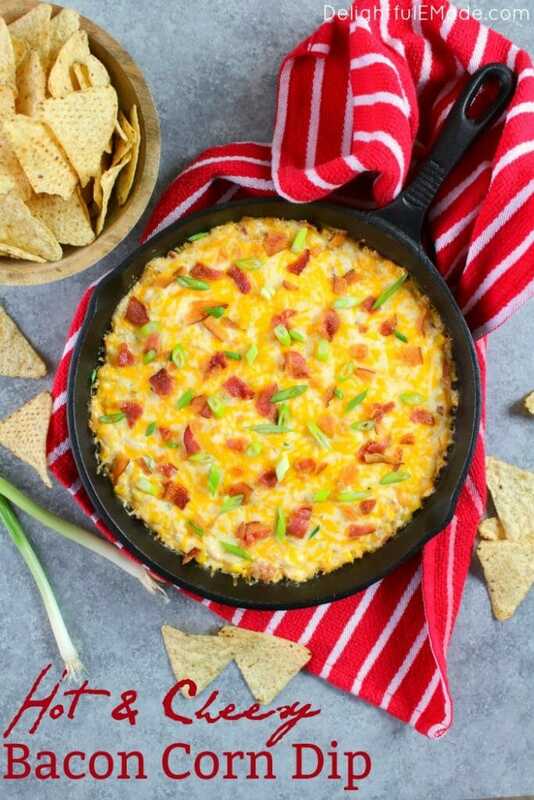 I’ll typically make a few meaty appetizers, like my Loaded Steak Nachos, Parmesan Mozzarella Meatball Sliders or Pepperoni Pizza Sliders and add in this Hot & Cheesy Bacon Corn Dip! 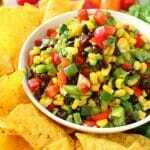 It’s fantastic for serving with tortilla chips and dipping all through the game. 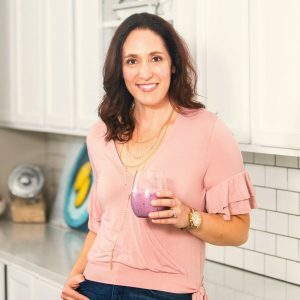 Start by creaming together the room temperature cream cheese and sour cream along with the garlic salt, chili powder and hot sauce in a large mixing bowl. 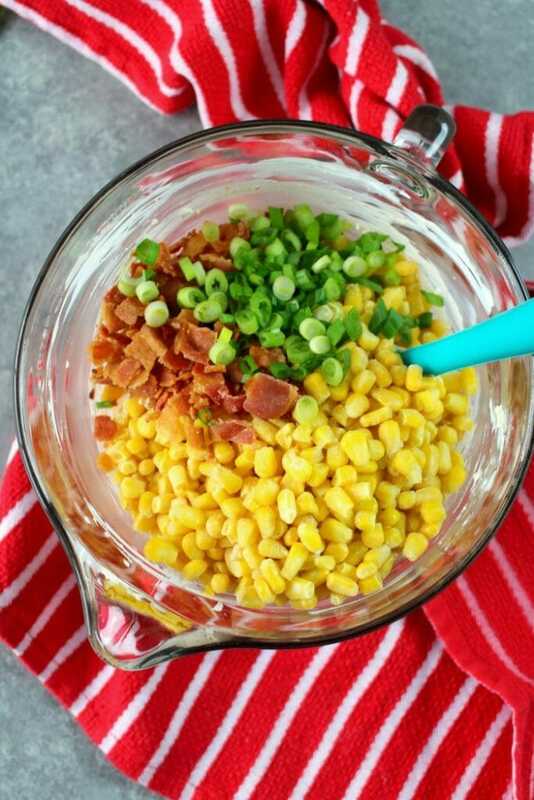 To the cream cheese mixture, add in frozen corn, bacon crumbles, chopped onions and shredded cheese. The mixture will be thick. It’s helpful to utilize a rubber scraper to ensure all of the ingredients cream together well. Once all of the ingredients have been mixed together well, spread the dip mixture into the bottom of a cast iron skillet or baking dish. 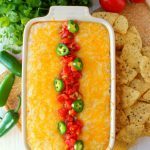 I love using my cast iron skillet for hot dip recipes like these. 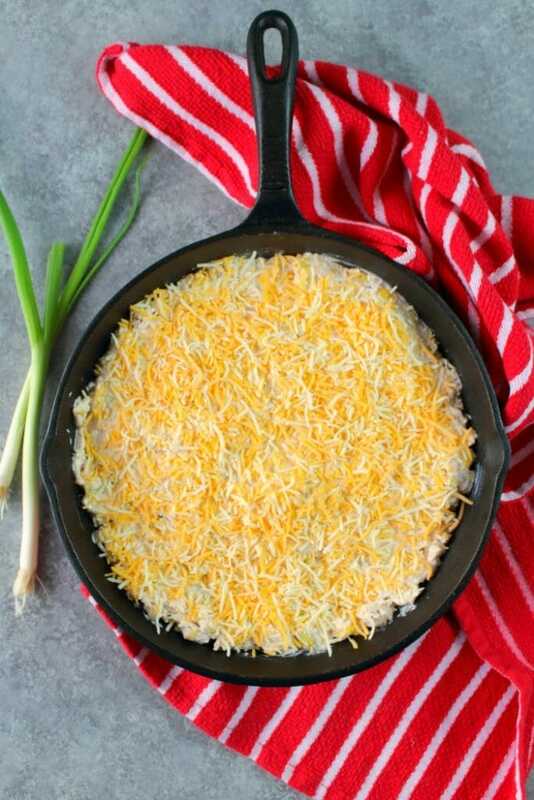 The skillet holds the heat well, so it keeps the dip warm after it comes out of the oven. It also looks great as a serving dish, too! 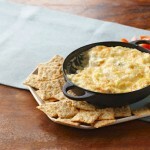 Before baking the dip, be sure to add the remainder of the shredded cheese to the top of the dip mixture. 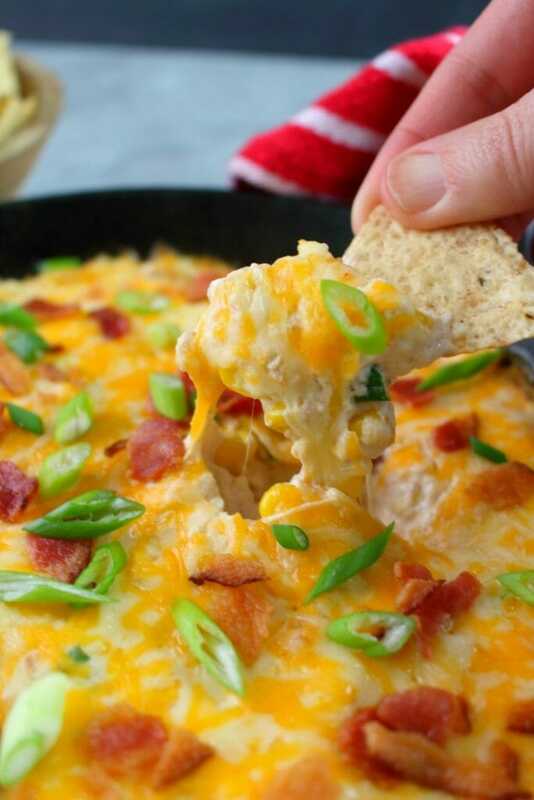 It adds a great cheesy component to the dip once served. 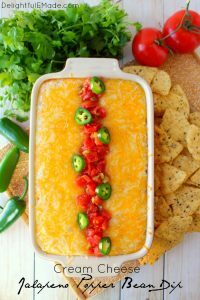 Bake the dip for 22-25 minutes at 400 degrees. 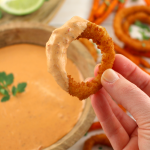 Once the dip comes out of the oven, it’s ready to serve right away. 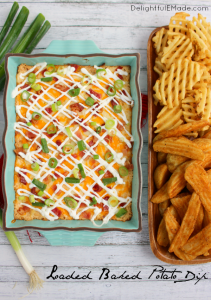 Feel free to top the dip with extra bacon crumbles and sliced onions. 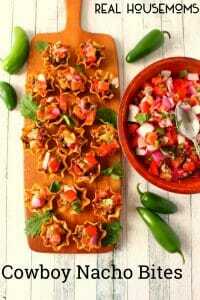 Serve the dip with your favorite tortilla chips – it’s also fantastic with pieces of sliced French bread or baguette. Enjoy while warm. 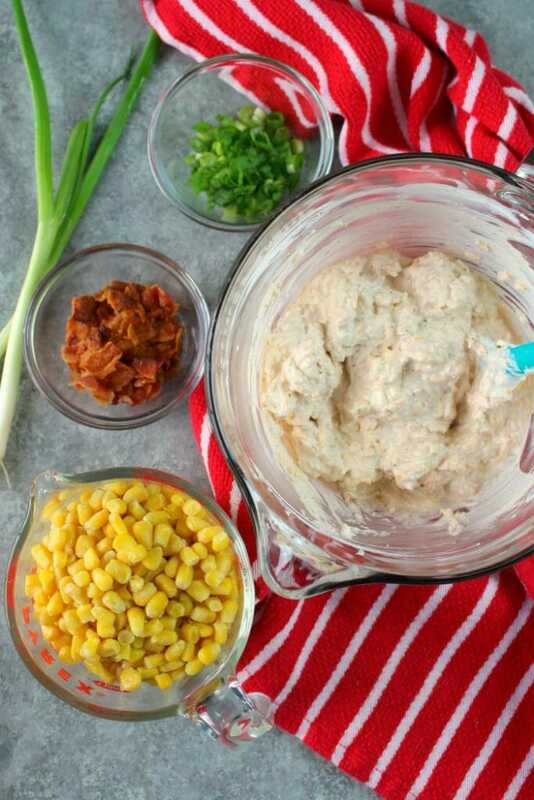 Loaded with crisp, savory bacon, sweet corn and lots of cheese, this hot & creamy Bacon Corn Dip recipe is sure to please! 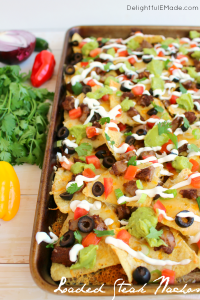 Serve fresh out of the oven oven with your favorite tortilla chips for a fantastic game-day snack or party appetizer. In a mixing bowl, combine the cream cheese, sour cream, garlic salt, chili powder and hot sauce. Cream together well. Stir in the onions, bacon, corn and 1 1/2 cup of cheese. Combine well. 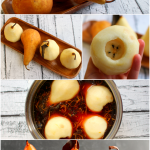 Spread into the bottom of a baking dish or cast iron skillet. Top with the remaining 1/2 cup of cheese. Bake at 400 degrees for 22-25 minutes. Once out of the oven, top with additional bacon and onions for garnish, if desired. 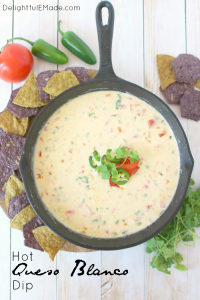 Serve warm with your favorite tortilla chips. Feel free to use canned corn in place of frozen, if necessary. Just be sure to drain well.